Without ample self-love, you will never feel good enough, successful enough, beautiful enough, or loveable enough. It truly is that simple. And…if only it were that simple! Self-love, authentic, non-egoic self-love, can feel tricky. We’re often taught to diminish ourselves, so as not to brag or boast. And, for sensitive people, it can feel especially tricky. Sometimes it feels okay to love and accept everyone, except, of course, ourselves. But, tricky as it is, self-love is crucial for a genuinely happy, successful life. It’s something I am continually cultivating for myself. Something I’ve finally learned how to do for myself. Something I’ve finally realized is the key to it all. 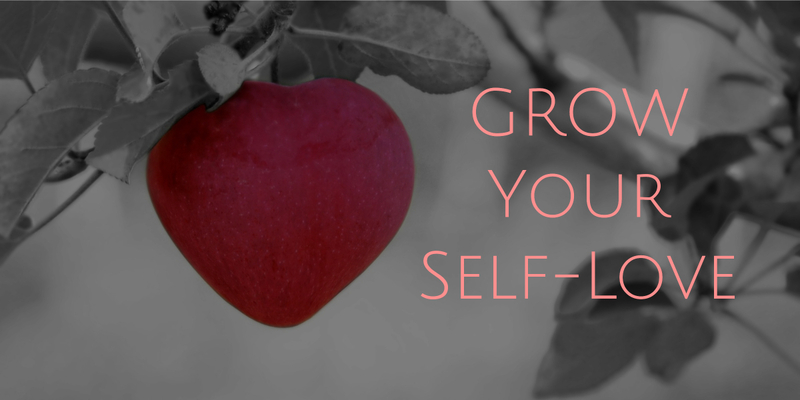 Here are some ways to cultivate self-love. You Are Not Your Negative Self-Talk — Get really clear about this. All of your negative self-talk, and limiting beliefs, come from somewhere else. We learn what to say and believe about ourselves from our family, teachers, and friends. We pick it up from the air that we breathe. We see it everywhere we look. And even if seems to be true, that doesn’t make it true. It is societal hearsay, and it’s certainly NOT who you are. Clear Out the Clouds of Doubt and Negativity — Use techniques, such as EFT Tapping, to clear out the clouds of doubt and negativity. Again, no matter where the negativity comes from, it doesn’t belong in your body and mind. EFT Tapping is a wonderful technique for deactivating old negative feelings and thought patterns. Contact me to learn more. Forgive Yourself –Without forgiveness, your negative self-beliefs will stay in the dark, pestering you again and again. Punishing yourself for the past helps no one. Make amends as appropriate, then move forward. Try using Ho’oponopono to help yourself let go of self-blame. To use Ho’oponopono, bring to mind something you’re blaming yourself for, hold your hand over your heart, and repeat the words: I’m Sorry, Please Forgive Me, Thank You, I Love You. By repeating this mantra, you will help yourself release negative feelings towards yourself. Cultivate Self-Loving Habits — Daily habits. Ask yourself, what is the most loving thing I can do for myself? It might be getting up early to meditate. Or carving out daily alone time. Or taking a luxurious bath. Or honoring your needs with a series of wellness sessions. It might mean committing to a new health routine which will benefit your overall well being. Be clear about the difference between loving and ‘improving’ yourself. Each day, ask yourself: “How can I love myself today”, and keep this question fresh throughout your day. Use Loving Affirmations — Create a collection of affirmations and mantras which will help you increase feelings of self love. Use affirmations such as “I love myself, exactly as I am,” or “I can do it,” or “I am open and receptive to love.” Find what works for you. And, remember, repetition is crucial for success. Repeated affirmations will gradually help your subconscious mind believe what you don’t currently believe about yourself. Say I Love You To Yourself — Put your hand on your heart, close your eyes, and say: “I love you.” Repeat for 5 minutes. Simple, and powerful. Meditate on a Love Bubble — Sit quietly, close your eyes, and breathe deeply, from deep down in your belly. As you breathe, deeply and slowly, imagine that you are surrounded by an iridescent bubble. Imagine that this bubble is filled with unconditional love. And that this love is here to soothe you, hold you, and love you. The more you practice this, the more powerful it will become. Stay with yourself — Even, and especially when the going gets tough. Stay in the moment, instead of avoiding with drink, food, tv, internet, or whatever you use to avoid tough feelings. When you’re going through a tough time, allow yourself to stay with the feelings, loving them as you would love a hurt child. It’s this love and acceptance that will help you transform the darkness. Even when you waver in and out of self-love, it’s always there for you. Come back to it. Cultivate it. Remember, love is here for you, even in your darkest moments. Want more self love? 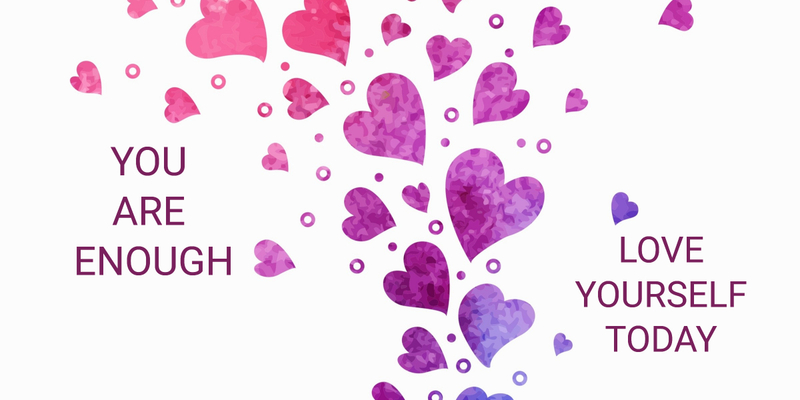 Come to YOU ARE ENOUGH, DAILY PRACTICES TO BOOST SELF LOVE, February 24 at the Lotus Lounge Holistic Sanctuary in Morristown NJ. Click here for more info and registration. Eckhart Tolle calls it the pain body. Painful memories and emotions trapped within us, directing aspects of our lives. The bigger the pain body, the bigger the effect on our lives. I like to call it the pain monster. Yes, it sounds scarier, but for me, it also sounds more personable, in a monster-like way. And certainly, when pain takes control of our thoughts, mood, and actions, it can feel quite monstrous. And, it’s at that very moment, when things feel their darkest, when there’s no apparent light in sight, that it’s time to invite the monster to dance. But monsters are scary, you might say. And I agree, they are. They’re scary because they’re hiding. They’re scary because they’re in the dark. They’re scary because we can’t always predict what they’ll do. Scary because they embarrass us, shame us, and make us feel so bad. And sometimes, they just won’t leave us alone. The pain monster wants attention, pure, and simple. Attention, and understanding. Recently, I was having a particularly hard time feeling calm and relaxed. My usual tools weren’t doing the trick. I was feeling quite unable to shift my emotional state, no matter what I tried. So, I surrendered my struggle. I sat down to meditate. And, this time, I truly sat down with my pain. It’s not that I never sit with my pain, but sometimes there’s an undercurrent of wanting it to change. In other words, judgment. Though I think of myself as being rather non-judgmental, I, like most sensitive people, have a hard time completely letting go of my own self-judgement. So, I invited him to dance. I visualized reaching out my hands to hold his. As he came towards me I saw that he was heavy, bloated, grey, disheveled, and very hunched. His hands were rough, not used to being held. I drew him closer to me, so that I could look into his eyes. I saw, and felt, his sadness. He looked lonely, and dejected. His enormous heart was heavy and drooping. In that moment, I got it. This monster within me, has been here for decades. And though I have cleared out so much pain and trauma over the decades, there was obviously more. Pain, previously hidden, was being dredged up by my exposure to the Supreme Court Nomination testimonies and its aftermath. All I wanted was to feel better. But in that wanting to feel better, I was judging my pain, trying to get rid of it. Dismissing it, when all it needed was my unconditional love. As I lovingly danced with my pain monster, he began to lighten up. He stood straighter, allowing his heart to open and release. He shed his frumpy clothing, revealing a brilliantly colored costume underneath. He looked younger, happier, more energetic. He was ready for a new role, ready to help me in new ways. And I promised him that day, to love him unconditionally. To love my pain unconditionally. To sit with it when all I want is to run the other way. To truly see it, honor it, and in that space, give it permission to release. Anything that is not love will serve to feed the pain monster. Love is what helps heal the monster’s wounds. Love is what helped me heal from decades of illness. When we stay with our pain, with love unconditional, we can truly move forward in new, amazing ways. 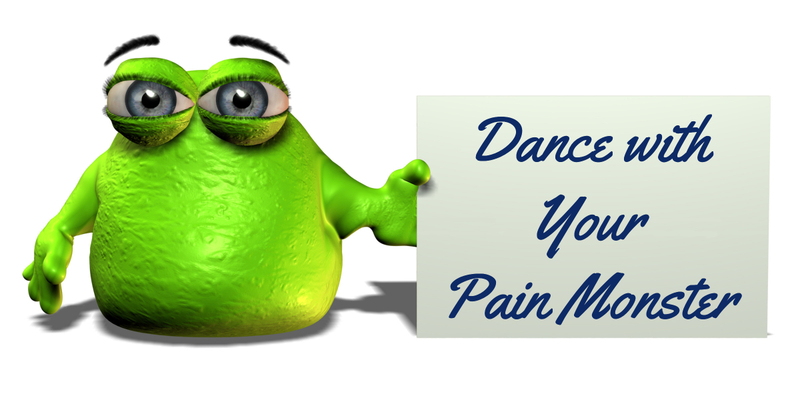 Need help learning how to dance with your pain monster? Contact me. Have you ever been told you’re too sensitive? Or, to grow a thicker skin? Do you have a habit of taking on other people’s pain? Do you consistently put others’ needs before your own? Do you struggle with your sensitivity, at any time, in any way? If you’re like me, you might be an empath, a highly-sensitive person, or maybe someone with an extra dose of sensitivity. There’s a spectrum, and if you find that you have heightened sensitivity, you likely fall somewhere within the spectrum of empaths. Although, as sensitive souls, we know how painful it can be, it’s important to know that sensitivity is actually a source of inner power. What’s tricky, is knowing how to manage sensitivity — so that rather than disempowering us, it empowers us instead. There’s no question in my mind that sensitive people must be vigilant about self-care. Daily self-care is not an option if you want to thrive as a sensitive person. 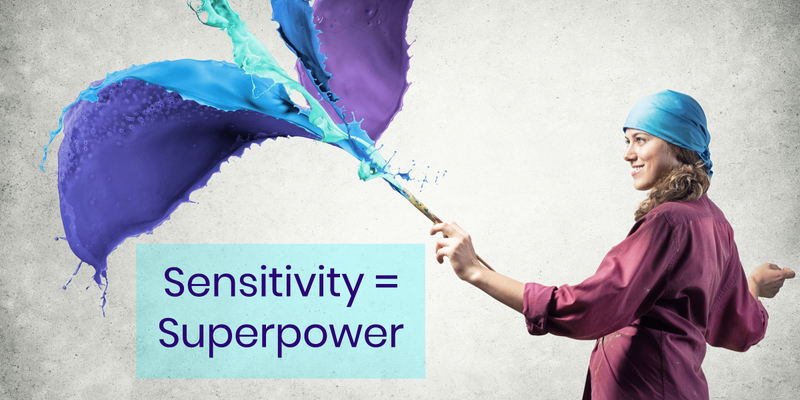 And, fortunately, with the right methods and tools, it’s possible to turn your sensitivity into your superpower! What do I mean by turning your sensitivity into your superpower? I mean nurturing your inner gifts, such as: intuition, inner vision, deep knowing, psychic ability, love, compassion, healing energy, creativity, artistic vision, and so many more — and letting them shine. Our creative abilities come from our senses, and we help them flourish by creating a nurturing inner environment. This is where you start. Tune your awareness to what lies within you. How does sensitivity show up for you? How does it assist you? How does it hinder you? Embrace everything that shows up with love, and acceptance. Let go of judgement. Write a list of all things you love about your sensitivity. Write a list of all that is painful. Practice embracing yourself with love, when you notice either the pleasurable, or painful aspects of your sensitivity. For one of my clients, when she learned how to embrace her sensitivity, without making it wrong, she was able to harness it in her work as an artist. Now she infuses her sensitive gifts into her creative projects, and her work has blossomed. This step creates space for the magical part of your sensitivity to assist you in ways you could never imagine. Freeing ourselves from judgement, other people’s opinions, other people’s feelings, and all the old emotions we’ve stuffed down, is the key to allowing our sensitivity to shine. Sensitive people are prone to experiencing intense bouts of self-doubt, anxiety, fear, sadness, and overwhelm. In addition, because we are sensitive, we’re sometimes more likely to accept beliefs that aren’t even ours. When these emotions and beliefs get stuck in our system, they contribute to persistent limiting patterns. Clearing out old stuck emotions, and releasing limiting beliefs and patterns is crucial for our sensitivity to truly thrive. Clearing techniques include: meditation, deep breathing, yoga, EFT tapping, matrix reimprinting, heart breath, and various talk and/or touch therapies. Experiment with what works for you. Many times, if not most, it’s helpful to enlist professional help when dealing with old persistent patterns and stuck emotions. And, remember, self-love is the healing elixir for clearing any, and all, old negativity. Cell phones, with all of their amazing apps, only work when they’re charged. Think of your superpower, or your inner power, as a battery that needs recharging on a regular basis. When we don’t recharge, we lose power. Recharging is essential. Recharging for sensitive people often means a daily self-care ritual, perhaps combined with services such as massage, sauna, salt therapy, and energy therapies. It also means creating healthy routines to allow for alone-time, creative expression, sleep, and time in nature. And perhaps the most important aspect of recharging, is the presence of healthy boundaries. Without them, overload and burn-out are almost guaranteed. Boundaries can be firm, hard, loose, stretchy, soft, or any way you want them. How ever you decide to create them, remember that boundaries are essential to protect yourself from unwanted energy, people, ideas, and anything else that’s not a match for your system. Once you’ve become clear on the different aspects of your sensitivity, you’ve begun to clear out old, stuck energy, and you’re regularly recharging your inner power, you’re ready to active your gifts. As with anything, this is a process. The more you repeat the steps in the process, the easier, and more powerful it will become. Decide now, which of your sensitive inner gifts will you expand? Which of your natural sensitivities will help you enrich your work life? Your relationships? Your Health? Your Spiritual Life? Your creative life? How will you shine your gifts, and with whom? When you begin to see the picture of how sensitivity can flow through your life, activate one aspect of your sensitivity. For example if you have a lot of compassion, you might choose to volunteer as a way to share your compassion. Or, if you have a gift for sensing subtle energy, you could expand your knowledge of energy therapies. The possibilities are endless. The goal here is to expand what you already possess, in the way that enriches your life. This is what turns your sensitivity into your superpower. Throughout the process of activating your inner gifts, it’s important to recycle through the first 3 steps. Embrace, Clear, Recharge. A continual act of self-love will help you continually activate your brilliance. You deserve your own magnificence! Contact me for a free 30-minute Clarity Call – I’ll help you get clear on your best strategy to manage your sensitivity, so you can turn it into your superpower. I’m amazed sometimes, by the number of friends and clients, who profess that they don’t love themselves. Or, that they would like to love themselves, but it feels too hard, or they just don’t know how. And when I take a real good look at myself, usually during times of meditation, I notice all the ways in which I’m holding back my own self-love. Why is it so hard to love ourselves? Perhaps because we’re all good students, and we took to heart all the many criticisms and nasties thrown at us throughout our lives. We’re taught to be nice to others, but not to ourselves. And, many of us were taught that self-love is egotistical, and just plain wrong. But what I believe, from my experience, and from what I’ve witnessed with my clients, is that the best way to express authentic love and compassion for others, is to first love ourselves. As important as it is however, self-love is often pushed to the far back burner of our lives. To consistently tap into feelings of self-love, it’s crucial to create rituals and routines which will help you. And because self love might be a somewhat foreign concept, repetition is essential. Following are some of my personal favorites. Acknowledge Yourself. Write down a list of personal qualities and attributes you like or love about yourself. For example, “I love the way I get up early in the morning” or “I love my kindness”, or “I love the way I am with animals”, or “I love the way I listen to others”. Write down as many authentic qualities/attributes as possible. Keep this list handy and read it to yourself daily. Add to it frequently. Spend 5 Minutes Meditating on Loving Yourself. Set a timer for 5 minutes. Close your eyes, breathe deeply, and begin to scan your body, contemplating your love for your hands, your feet, your mouth, etc. As you do this, consider the ways in which your body helps you. (Don’t focus on how it looks.) Next, allow yourself to feel love for your heart, your digestive system, your reproductive system, your lungs, your skin and your brain. Follow this with love for your intuition, your kindness, your sense of compassion, and any other personal qualities that come to mind. Experiment with this technique by doing it daily for 1 week or more, and adjust as feels right for you. Use EFT Tapping. EFT Tapping can be very helpful to release unwanted emotions and negative mind chatter. When we’re feeling anxious, sad, angry, or irritated, it’s hard to feeling loving towards ourselves, or others. If you’re familiar with the tapping points, focus on an unwanted feeling, while tapping on the points. This will help release the feeling. If you’d like to learn more about EFT Tapping, contact me. For an illustrated diagram of the tapping points, click here. Take Care of your Body. The better you take care of yourself, the better you’ll feel about yourself. Eat a nourishing, healthy diet. Get plenty of rest. Drink lots of water. Get regular exercise. Meditate. As needed, or as afforded, schedule yourself for massage, chiropractic, reiki, EFT tapping, or any other body-mind modality that will assist you in feeling the best you can feel. Being stuck disrupts your creative flow. It can make you feel frustrated, anxious, hopeless, and stressed. It’s especially hard to get unstuck when you don’t feel good about yourself. You know what you ‘should’ be doing. You watch others doing what you ‘should’ be doing. But somehow you just can’t manage to get unstuck. It can feel utterly hopeless at times. I know, I’ve been stuck many, many times. But, finally I realized that my stuck places were actually trying to help me. My stuckness led directly to places within that were calling for healing. When I stopped to pay attention, I was able to release old beliefs and emotions, and tap into my flow. What if, for a moment, you stop trying to get unstuck. What if you stop to listen to what your heart is telling you? What am I afraid of if I get unstuck? Where do I need to give myself love and compassion? What do I believe about myself in this moment? What’s one little thing I can do to get unstuck? Once I have my answers, I use EFT tapping to release any unwanted feelings and beliefs I’ve discovered. If you are familiar with EFT Tapping, use it to tap through your answers to these questions. Click here for an illustrated description of EFT Tapping Points. Or, contact me to learn more about my one-on-one EFT services. Next, take one little step to get unstuck. One little step, and then another. Just start. Let go of worrying about the results. 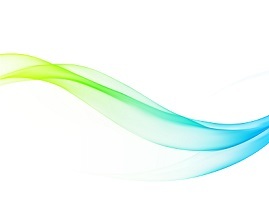 The energy of forward movement will ease you back into your flow. And, the more old, stagnant energy you release, the stronger your flow will be. 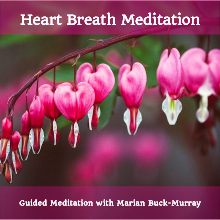 For a free Get Unstuck with EFT Tapping Audio, click here. May Your Flow Be With You!